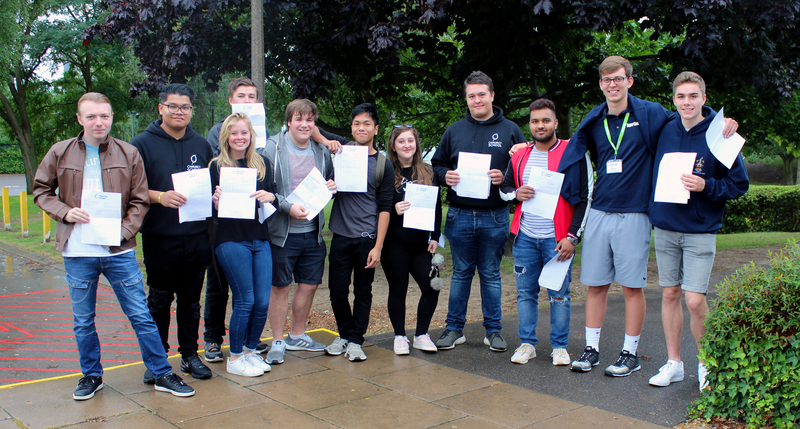 Our 18 year old Chauncy students, most of whom have been with us for 7 character-defining years received their A Level and BTec exam results, and now they’ve left us. Parents will have waited expectantly for weeks and this morning, on the day of reckoning, they see and hear their offspring celebrating their hard work. We have seen, normally cool and reserved young people crying this morning, because they put such a huge amount of effort into their 6th form courses. Be patient with them, smile with them and tolerate a little excess. Some celebrations may go on well into Friday! Forget, for now, the media attention to unconditional university offers and the debate about the new A Levels, today is about how well our students and their teachers overcame any and all obstacles. Our students took exams in a wide range of subjects in May and June. Most took the academic A Level subjects whilst others studied vocational courses in subjects such as Applied Science, Business and ICT. Many will have combined academic and vocational courses to best suit their career plans. The good news is that the year group have done well, some individuals remarkably so and most are very happy. Some qualifications will lead to full time employment and apprenticeships being taken up straight away. Many will be taking their results to universities around the UK. The ubiquitous Gap Year will entice a number. Chauncy has an Outstanding Sixth Form and we carry through our policy of trying to give a place to all students as long as we have the right courses where they can achieve. Students who have worked with their teachers have done really well, achieving the results necessary to move on to first class apprenticeships, good jobs and places at their chosen universities. Some are now upgrading their choices based on their results. Of course, there are a minority of young people disappointed by their results but at 10.00am this morning all but one was able to pursue their chosen path. Teaching staff waited, almost as nervously as the students, to see the results of their work and many of them will be celebrating the students’ success as theirs, too. We have again met government targets for A Levels and the vocational courses we offer. The support we provide means that no 18 year old is left without options. A particular strength in our 6th Form is our non-teaching student manager, Jill Warner, who has helped, guided and encouraged the sixth formers though two difficult years. She is continuing to offer her compassionate, practical advice this morning. So, as every year, we say goodbye to around 100 young people moving on in their lives. We are very proud of them and hope they will keep us informed of their successes.